Editorial Note: What follows is a statement of USPTO Chief Communications Officer Todd Elmer on the Commerce Department’s Office of Inspector General investigation into alleged time and attendance abuse by a patent examiner. You can also read my article on the topic here. The USPTO appreciates the thorough work of the Department of Commerce’s Office of Inspector General (OIG) in completing this investigation that the USPTO referred to it concerning a non-teleworking patent examiner’s suspected time and attendance abuses which took place prior to mid-2014. Although the vast majority of the USPTO’s almost 13,000 hard-working and highly-skilled professionals perform their jobs with integrity and dedication, the agency nonetheless takes very seriously even one incidence of time and attendance abuse, such as by this particular employee, who is no longer with the agency. As such, the USPTO is very carefully considering all of the OIG’s findings and recommendations, including that the agency consider any legal remedies available to it for monetary restitution from this former employee. As soon as the agency discovered in summer 2014 what it suspected to be a serious case of one supervisor’s mismanagement of an examiner’s suspected time and attendance abuse, the agency quickly did a preliminary investigation and promptly referred the case to the OIG for a full investigation. A successful pilot program throughout the entire patent examiner corps to prevent work production abuses by early management intervention. 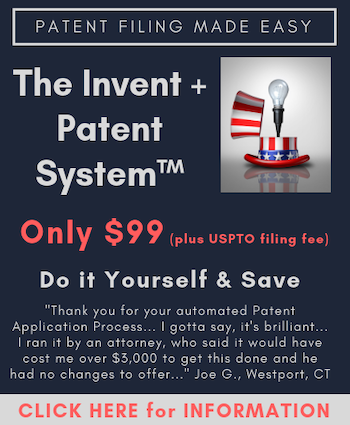 Mandatory annual training on time and attendance, work schedules, leave, and overtime policies for all employees in the Patents business unit of the agency. Improved agency-wide management handling of conduct issues in employee performance appraisal plans. A revised policy for the Patents business unit’s use in obtaining and using agency records, including computer usage records, to verify claims of time and attendance abuse cases and the creation of processes for reviewing and using these records resulting in a consistent agency-wide policy. The identification of major types of misconduct and their root causes, including recommendations to management for preventative measures. The implementation of a new agency-wide policy for full-time teleworkers and supervisors that improves work schedule notification, communication, and collaboration among employees, unions and, supervisors, especially as the USPTO workforce increasingly migrates away from the Alexandria headquarters through fulltime telework programs and the opening of regional satellite offices. And yet, in addition to this extensive array of accountability and training actions implemented over the last year since this particular case of abuse occurred, the agency is committed to considering the implementation of even more new improvements, clearly underscoring our steadfast commitment to continually identifying and correcting even isolated cases of abuse, while also strengthening the efficiency and effectiveness of our overall management and operations. We know that we owe nothing less to our agency, to the public we serve, and to our nation’s continued leadership in global innovation. The USPTO found out about fraud occurring over a long period, paid for a study, thought about it really, really hard, implemented training about why fraud is bad and government employees should not do it, and created more guidelines and rules without consequences. Typical government bureaucracy. to be better than private jobs. How typical of a “McBureaucrat” statement, is this? !